Music facilities and requirements can differ depending on the location of the funeral service. Whether you would like an organist, recorded music, a choir, bagpipes or a marching jazz band; A.R. Adams will assist you in arranging the music for the funeral service. Both Southend and Basildon Crematorium use Music systems to play your chosen music. These are supported by music companies Wesley Media (for Basildon) and Obitus (for Southend). The Crematorium will play your desired tracks or hymns by use of MP3 over their integrated sound systems. There is no need to provide tapes or CDs. As long as the song is commercially available it can be piped to the crematorium and played during the service. The funeral celebrant will discuss your music choices with you and will feed them back to us. We will then arrange for them to be played at the Crematorium. If you prefer to have more traditional organist music at the service then A.R.Adams can arrange for an experienced organist to play at the service or we can use a recording of an organist either with or without a choir singing along. If you have any questions about the music for a funeral service you are welcome to contact us. The music facilities available at the Church will vary dependent on the church. In most cases an organist will be arranged and a iPod station or CD player will be present in order to play any pre-recorded music you may want to hear. 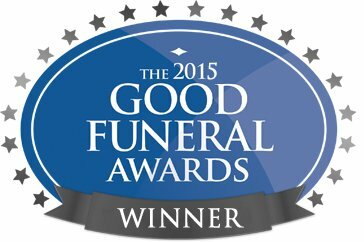 If you are having a funeral service in church and would like to ask about their music facilities please contact us for assistance. Live music can add a personal touch to a funeral service and turn an otherwise traditional funeral into a true celebration of life. A.R.Adams can arrange various types of live performance including, soloists, walking Jazz Bands, Buglers, Bagpipes and more.